Dr. Alex Gee talks with the owners of Short Stack Eatery in Madison, WI about how they are committed to using their business to better the community. 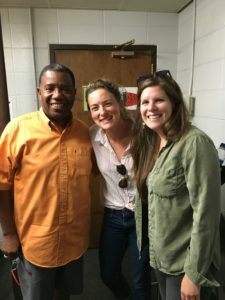 Alex Lindenmeyer and Sinead McHugh share how they started their restaurant business and sought out the African American history class to grow their vision. Don’t miss hearing these two innovative female entrepreneurs speak honestly about the work being done to bridge the gap between White and Black communities. They share practical ideas about how businesses can change the atmosphere around race in their community and where individuals can start to make a difference. It’s better to be respected than to be merely liked. If you refuse to bend to a person’s expectation of you, they may choose to dislike you. However, if you’re respected, it’s probably due to the fact that you’re fair, consistent, and reliable. The bar for respect is much higher (and more noble) than the bar for being liked. Aim high.